[custom_frame_left] [/custom_frame_left] In the last years, Italy has become one of the most popular wedding destination for couples coming from abroad. 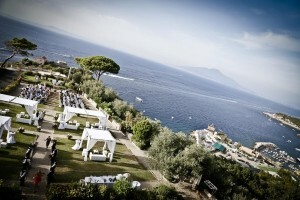 Recent studies conducted by JFC (a consulting company working in the tourism field) have registered 6.000 foreigner couples have chosen to have their wedding in Italy in 2012. 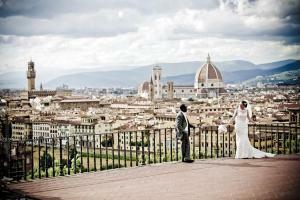 Are you wondering why such a large number of spouse have selected Italy as wedding destination? Italy provides a great choice in terms of venues such as ancient castles, historical villas, luxury hotels or family run hotels, lovely farmhouses and typical restaurants. Whether couples look for a classical and traditional wedding or a different and unconventional event, Italy offers the ideal settings for all needs and wishes. 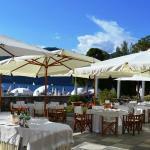 the delicious Italian food and wines are renowned all over the world. What a better occasion than a wedding to taste the authentic Italian cuisine made with fresh and genuine ingredients while sipping a good glass of wine. I assure this is something that guests of the weddings really appreciate. the mild weather allows organising weddings outdoor. 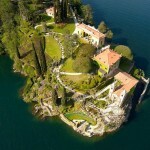 I am sure you can easily imagine the pleasure of getting married in the gardens of a villa on Lake Como or to enjoy a cocktail in the peaceful landscapes of the Tuscan countryside or, maybe, to have a dinner on a terrace with sea view illuminated by the candle lights of the Amalfi Coast. 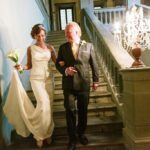 These are only 5 good reasons to get married in Italy but if you wish to know more about Italian weddings, please contact us.